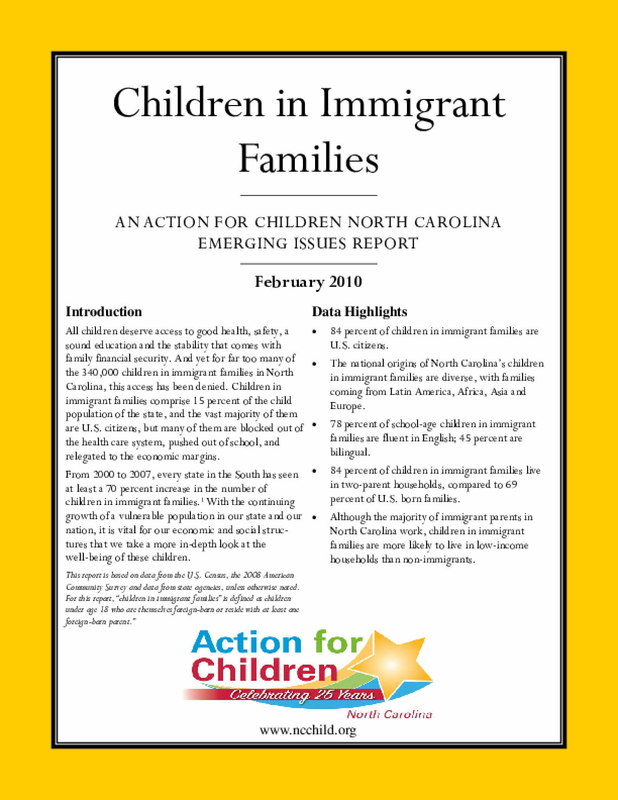 This report shares facts and statistics about children from immigrant families living in North Carolina. It aims to educate the public and engage policymakers in meaningful conversations about eliminating the barriers that these children and their families face. Copyright 2010 by Annie E. Casey Foundation. All rights reserved.